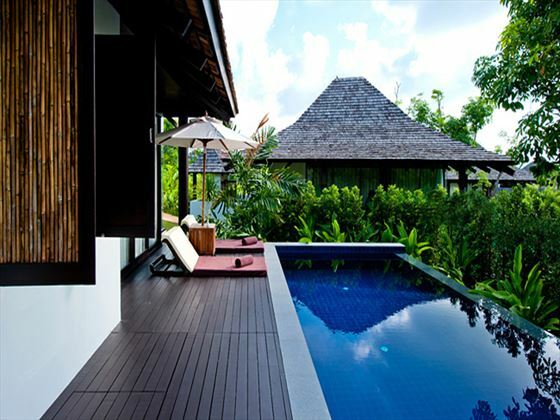 Upon arrival in Phuket, take your transfer directly to the Vijitt. 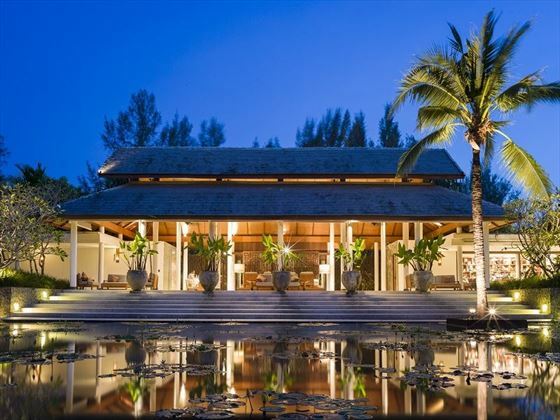 This villa-only, secluded resort offers peace and tranquillity. 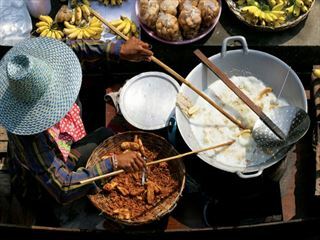 Set in the lovely Chalong Bay, you'll be able to explore southern Phuket and discover some great places to eat and drink. 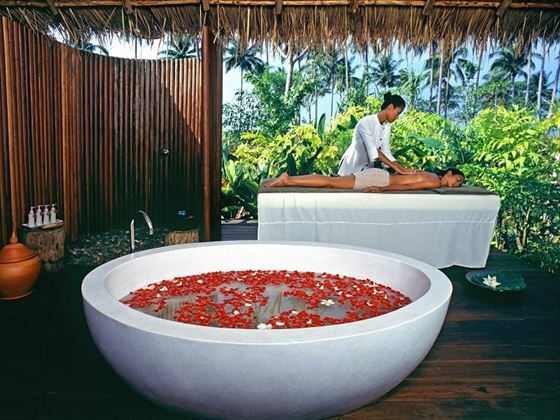 Spa pavilions, wine cellars and guided tours of the surrounding area all help to create a truly memorable experience. 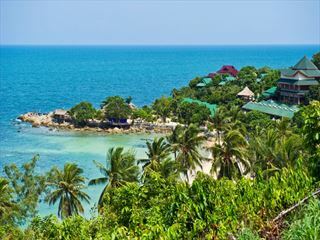 After five nights at the Vijitt Resort, you'll be transferred directly (it's around 3 hours, but is a fun, interesting drive) to the Sarojin, where you'll be immediately welcomed into the serene ambience. 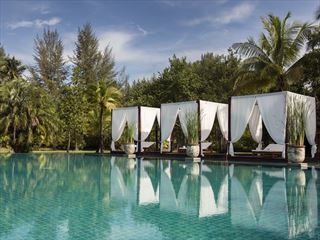 This luxurious boutique hotel is located on a stunning and long stretch of beach, which also gives easy access to the Similian Island's dive sanctuaries. 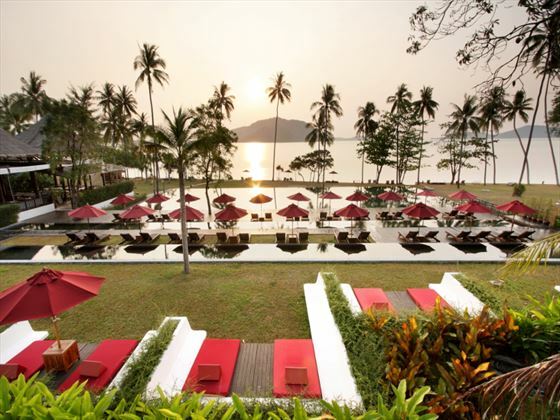 Wonderful dining options and a great spa, make this the perfect Thai experience. 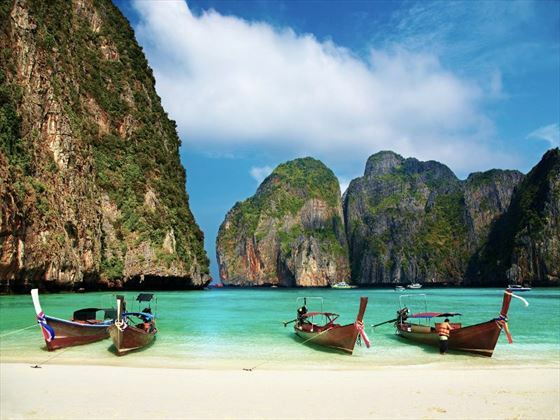 On the 11th day you will be transferred to Phuket airport which is just an hours drive away. Please note that this our recommended combination, if you wish to adapt this to your needs please call us for a tailor-made quote. Dubai is a great half-way stopover on the long flight to Phuket. 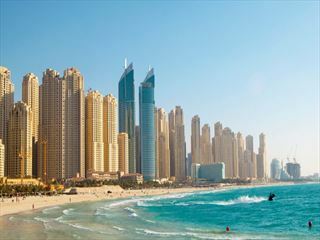 This 10 night twin centre includes three nights in the city of Dubai, if you haven’t been yet, it’s the perfect taster. 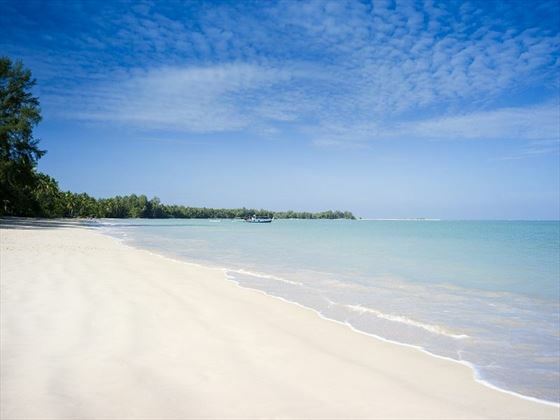 Then seven nights kicking back on the unbeatable beaches of Southern Thailand. 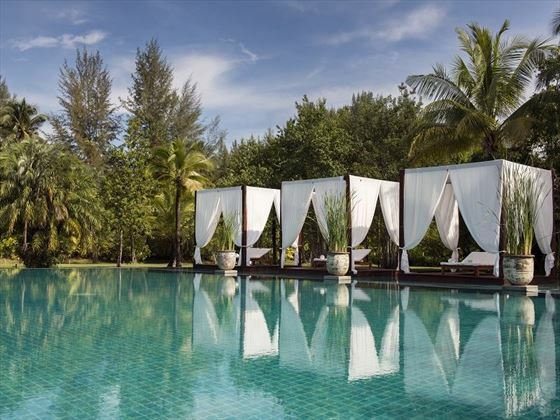 Listed in the Conde Nast Traveller Readers 2013-2017 Top 20 Hotels in Asia and Sub Indian Continent, The Sarojin is an award-winning, five-star luxury boutique resort, offering 56 beautifully appointed rooms nestled on a secluded seven-mile beach in Khao Lak. 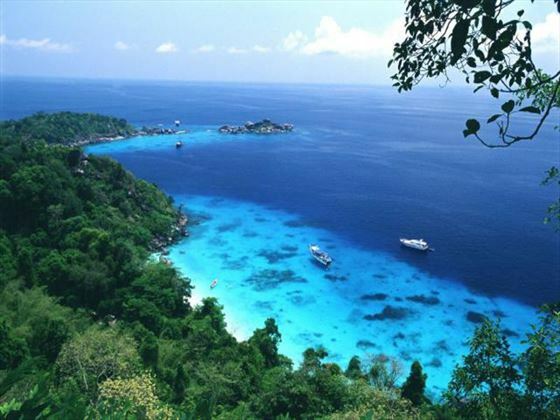 The resort offers easy access to the Similan Islands’ dive sanctuaries, five stunning primary rain forested national parks, and Phang Nga Bay – renowned for its dramatic limestone islands and captivating sea cave canoe journeys. 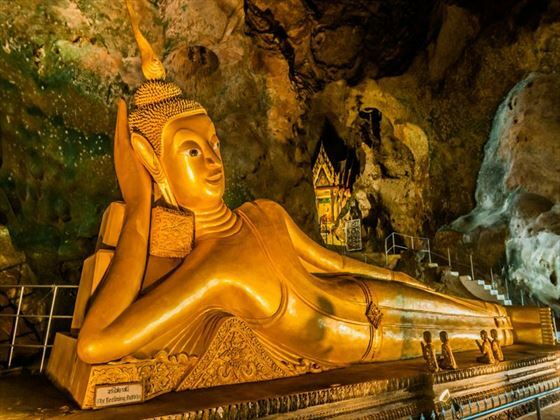 Phuket International Airport is only an hour transfer away, too. A team of personal guides and the elegant and inspired Imagineer - the ultimate personal concierge - delight in creating bespoke experiences "just for two" into the surrounding national parks and areas of outstanding natural beauty. Renowned for its excellent personalized service and authentic insights, The Sarojin offers guests much more than a traditional resort and also offers rare opportunities to glimpse and experience insights into local Thai life through a combination of unique excursions and its sustainable tourism work with the local rural and coastal communities. Luxury facilities include a la carte breakfast served with sparkling wine until 6pm, extraordinary romantic dining experiences - including dinners by a candlelit jungle waterfall, on a secluded white sand beach or a private island – a rejuvenating spa massage lulled by the sounds of the Andaman Sea, Thai cooking classes, and gourmet safari style lunches on a spectacular river bank. You’re also treated to private charters on the luxury yacht Lady Sarojin, or personal jungle adventures complete with champagne. 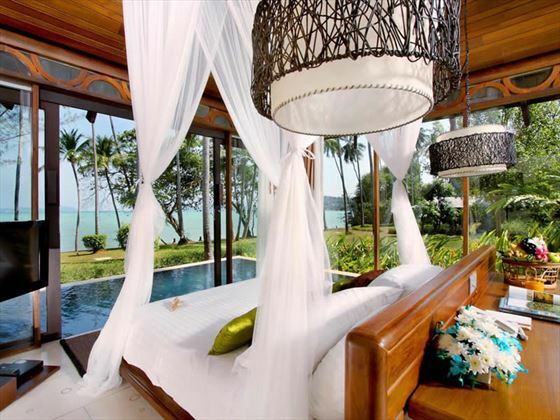 Book a honeymoon and enjoy complimentary honeymoon extras. Early bird offers may apply for certain travels periods.